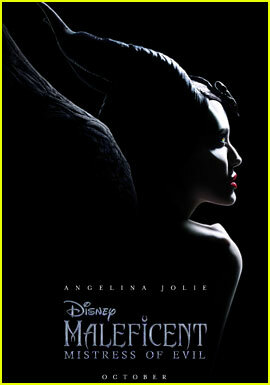 Angelina Jolie is back to work in the Big Apple! 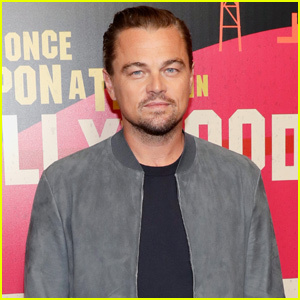 The 43-year-old actress and philanthropist was spotted while out and about on Monday afternoon (February 25) in New York City. Angelina donned her signature all-black attire, pairing a black blazer with cropped pants and heels. 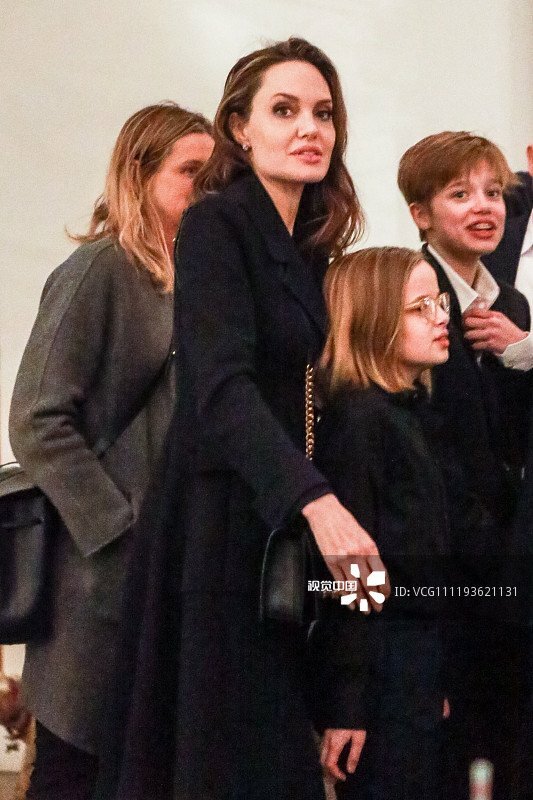 Over the weekend, Angelina was joined by her children as they had a family dinner and grabbed ice cream together. 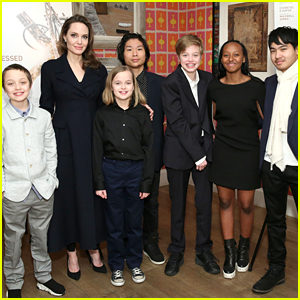 Later, the group attended the premiere of the documentary Serendipity to support Angelina‘s friend Prune Nourry. See all the family pics! FYI: Angelina is wearing Barton Perreira eyewear. I’m thinking last night. Seems very dark and I don’t know what time it gets dark in NYC and these have been up a little while. a few more blurry pixs 9had to enlarge from thumbprints) – don’t know if last night or not. Hi, Premali. You are very welcome. It is very dark and seems very cold…. Maybe a special screening of Ivan? No, doesn’t look like she went. 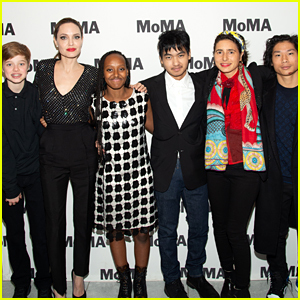 Thanks I thought for a moment they didn’t take a pic of Zahara. No question Zahara is into fashion and in lock step with the cape trend that a lot of ladies at the Oscars was wearing. You can’t leave the older kids, or any of them, in a hotel anymore, they are used to going out and about. Did the ratzi stalk them into the theater? Cuz if they did you’d think they’d have said what they went to see. If they didn’t see exactly where they went and are only guessing, then who’s to say why they were there. It’s an expensive hotel with quality restaurants. 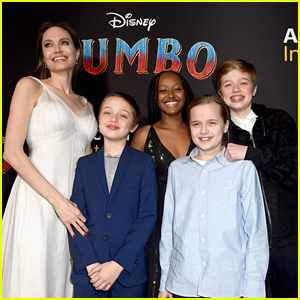 For all we know Angie took the kids to a really nice dinner. Zee’s caped LBD is killing me! Ticky’ll be trying to steal that shite by the end of the week! Gads so many pixs – don’t know if this one was posted – all 3 boys, with Vivi in different glasses. Forget her, Can I steal it? Looks like it was cold and windy there in NYC. Judging by Shiloh’s expressions. You can try…but Zee’ll cut ya! How about eat a sandwich every once in a while.